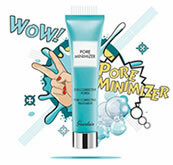 Guerlain KissKiss Lip Gloss is a super shiny stay-put lip gloss. Allow your lips to be drenched in sheer, pearly or sparkly color with the new Kiss Kiss revolutionary non-sticky formula that keeps lips moisturised while water-resistant and magnifying esters ensure long-lasting effects with a boost of volume. 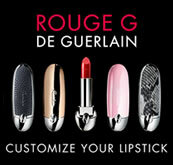 Guerlain KissKiss Lip Gloss has a easy to apply flat, smooth brush that provides accurate application without stickiness. 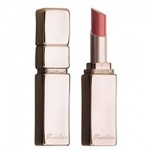 Guerlain KissKiss Essence de Gloss Ambre is a sublime elixir that gathers extracts of feel-good ingredients and pure colours, both infused in an ultra soft texture. 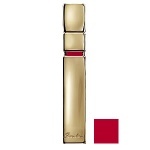 Guerlain KissKiss Essence de Gloss Vermillon is a bright red shade. Essence de Gloss combines feel-good ingredients and pure colours, both infused in an ultra soft texture. Guerlain Summer Splash KissKiss Stick Gloss Grenade des Iles is a delicate, non-sticky gloss that boasts lasting hold and embellishes the lips with endless sparkles of light. 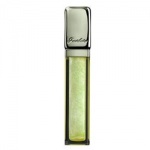 Guerlain KissKiss Gloss Pomme du Desir is a pale golden green shimmer donating you a vibrant and fashion focused look veiled in sparkly transparency. Guerlain KissKiss Extreme Shine Lip Gloss Abricot Gourmand is a super shiny stay-put lip gloss in a peach shimmer shade. Guerlain KissKiss Extreme Shine Lip Gloss Cherry Fizz is a super shiny stay-put lip gloss with in a sparkling cherry pink shade. 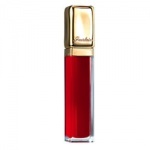 Guerlain KissKiss Extreme Shine Lip Gloss Fique Plaisir is a super shiny stay-put lip gloss in a mauve shimmer shade. Guerlain KissKiss Extreme Shine Lip Gloss Fraise a Croquer is a super shiny stay-put lip gloss in a raspberry pink with gold glitter shade. 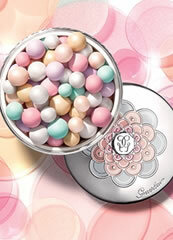 Guerlain Spring Look KissKiss Gloss Frosted Pink is a delicate coral pink shade that shimmers and glows on the lips. Guerlain KissKiss Extreme Shine Lip Gloss Rose Tentation is a super shiny stay-put lip gloss in a llilac pink shimmer shade.